The project harnessed the potential of house rooftops as rainwater harvesters for household use, principally as drinking water. It likewise assessed the system’s technical soundness, environmental dimensions, economic feasibility as well as its social and political acceptability. Technically, the rainwater harvesting system consisting of rooftops, gutters, down spouts, filter and storage tank is capable of collecting/impounding rainwater to supply and support the drinking water needs of 8-12 members of the family throughout the six-month dry period (January-June) of the year. In terms of rainwater microbiological quality, total coliforms and Escherichia coli were of low concentrations (i,e., less than 1.1 MPN/100 ml) meeting the allowable limits set by the Philippine National Standards for Drinking Water (PNSDW). 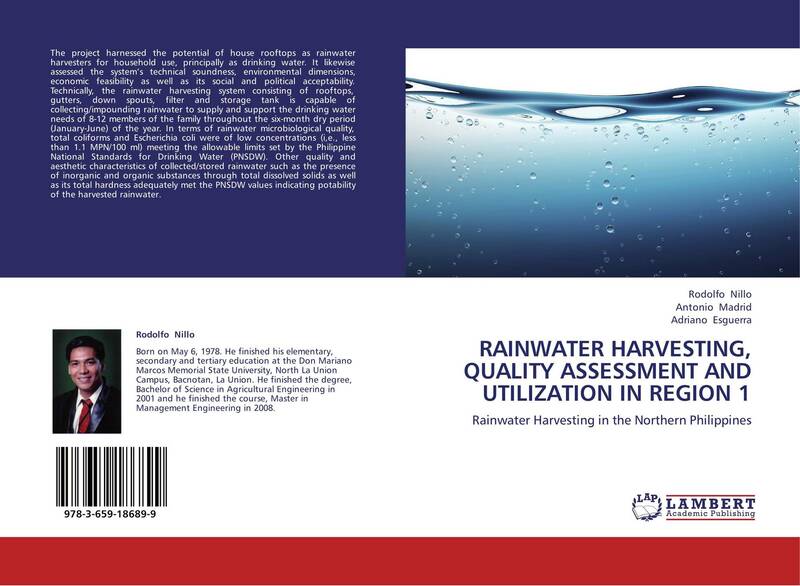 Other quality and aesthetic characteristics of collected/stored rainwater such as the presence of inorganic and organic substances through total dissolved solids as well as its total hardness adequately met the PNSDW values indicating potability of the harvested rainwater.